Crown Publishing Group (NY), 9780804140034, 304pp. 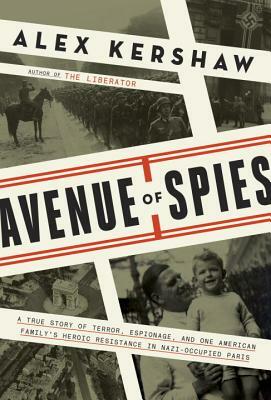 The leafy Avenue Foch, one of the most exclusive residential streets in Nazi-occupied France, was Paris's hotbed of daring spies, murderous secret police, amoral informers, and Vichy collaborators. So when American physician Sumner Jackson, who lived with his wife and young son Phillip at Number 11, found himself drawn into the Liberation network of the French resistance, he knew the stakes were impossibly high. Just down the road at Number 31 was the "mad sadist" Theodor Dannecker, an Eichmann prot g charged with deporting French Jews to concentration camps. And Number 84 housed the Parisian headquarters of the Gestapo, run by the most effective spy hunter in Nazi Germany. ALEX KERSHAW is the New York Times bestselling author of several books on World War II, including The Bedford Boys and The Longest Winter. He lives in Willamstown, Massachusetts.